Is Whiting USA Trust (NYSE:WHX) the right investment to pursue these days? The smart money is becoming hopeful. The number of long hedge fund positions moved up by 1 lately. To the average investor, there are plenty of gauges market participants can use to analyze the equity markets. A couple of the best are hedge fund and insider trading sentiment. At Insider Monkey, our studies have shown that, historically, those who follow the best picks of the best hedge fund managers can beat the S&P 500 by a very impressive margin (see just how much). Just as beneficial, positive insider trading activity is another way to parse down the world of equities. There are a number of incentives for an insider to get rid of shares of his or her company, but only one, very clear reason why they would buy. Plenty of empirical studies have demonstrated the useful potential of this tactic if piggybackers know what to do (learn more here). With all of this in mind, let’s take a look at the latest action surrounding Whiting USA Trust (NYSE:WHX). How have hedgies been trading Whiting USA Trust (NYSE:WHX)? 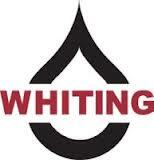 As industrywide interest jumped, some big names have jumped into Whiting USA Trust (NYSE:WHX) headfirst. Lucas Capital Management, managed by Russell Lucas, initiated the most valuable position in Whiting USA Trust (NYSE:WHX). Lucas Capital Management had 0.1 million invested in the company at the end of the quarter. What have insiders been doing with Whiting USA Trust (NYSE:WHX)? Insider purchases made by high-level executives is most useful when the company in focus has seen transactions within the past six months. Over the latest half-year time frame, Whiting USA Trust (NYSE:WHX) has seen zero unique insiders purchasing, and zero insider sales (see the details of insider trades here). Let’s also take a look at hedge fund and insider activity in other stocks similar to Whiting USA Trust (NYSE:WHX). These stocks are FX Energy, Inc. (NASDAQ:FXEN), Cross Timbers Royalty Trust (NYSE:CRT), Samson Oil & Gas Limited (ADR) (NYSEAMEX:SSN), Hyperdynamics Corporation (NYSE:HDY), and Sonde Resources Corp (USA) (NYSEAMEX:SOQ). This group of stocks are the members of the oil & gas drilling & exploration industry and their market caps are closest to WHX’s market cap.